Apex Legends is getting some much-needed updates. 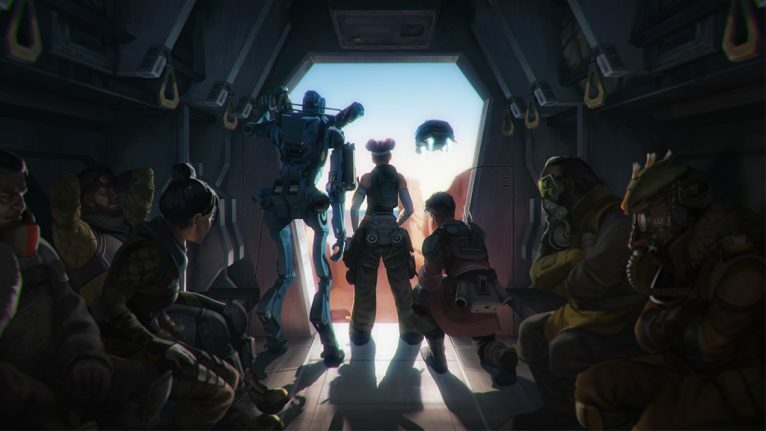 Respawn Entertainment has given insight into the upcoming changes to Apex Legends. The company has dived into the reoccurring performance issues plaguing the game and has vowed to solve them in the next patch. On a post on the Apex subreddit, Respawn listed some interesting developments, including updates to legend resting bonus, frame rate cap, hitboxes, crashes, and audio issues. Respawn explained that legend resting bonus will increase every week. It started at 25,000 per legend, but, since yesterday, it’s increased to 50,000. Next week it will go up to 75,000, and it will eventually cap at 250,000. This will give players the opportunity to level their battle pass without fear of missing out on potential loot. There’s been a been bug on PC that’s been capping frame rate at 144. In the upcoming patch, Respawn has increased the cap to 300 frames per second. This was the original intention, and it’s something that should positively impact high-end PC users. A fix has been implemented addressing stability issues on Xbox One. It will automatically download the update when players load the game. There’s been an ongoing issue with legend hitboxes. They’ve been particularly out of whack, and not working as intended. Apex hasn’t been properly registering damage when concerning arms and upper body hitboxes, and this has caused frustration in the community. Respawn has added a few small changes to combat this and is actively looking to solve the problem. There’s been a number of difficulties with the game’s audio. There have been increased audio dropouts, where sounds or parts of sounds seem to be missing. There’s been audio distortion that’s caused loud static or mangled-sounding audio that plays during a large gunfight. And enemy footsteps have either been too quiet or even silent in some situations. The issues haven’t yet been fixed, but it’s one of Respawn’s focal points at the moment. The developers are looking to solve these problems as soon as possible. Respawn offered a few words of advice for players experiencing these issues. The sound quality, according to Respawn, could be in correlation with hard drive performance. One solution is to load the game onto a fast HD or an SSD. If this isn’t available, the developers have suggested defragging your PC HD prior to installation. If this doesn’t work, you should change your audio to stereo, if you’re using quad audio. One of the biggest problems for the game on PC has finally been addressed. Users were experiencing an influx of crashes that were ruining the game. A small update has now been implemented and the daily crash rate has dropped by 90 percent. Respawn is investigating the remaining crashing issues and is looking to create better communication from the game, with error messages and tips to help players troubleshoot in a future update. Respawn has promised to solve ongoing console crashes too.